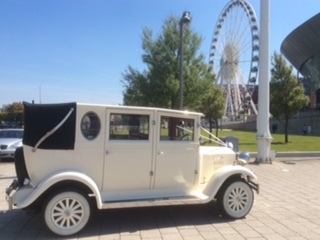 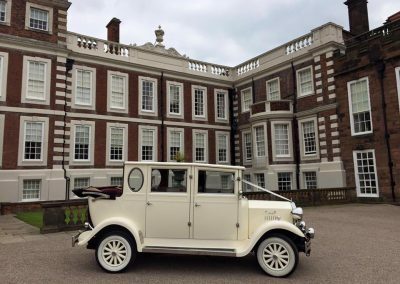 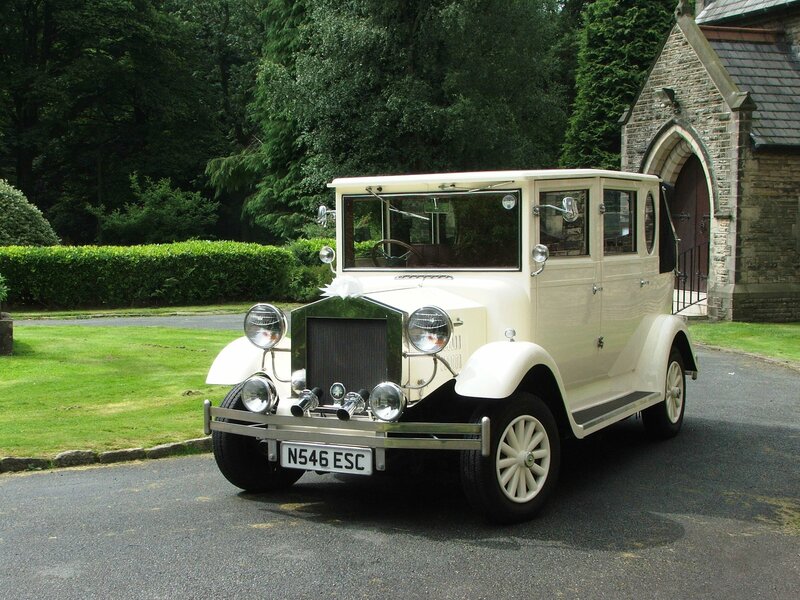 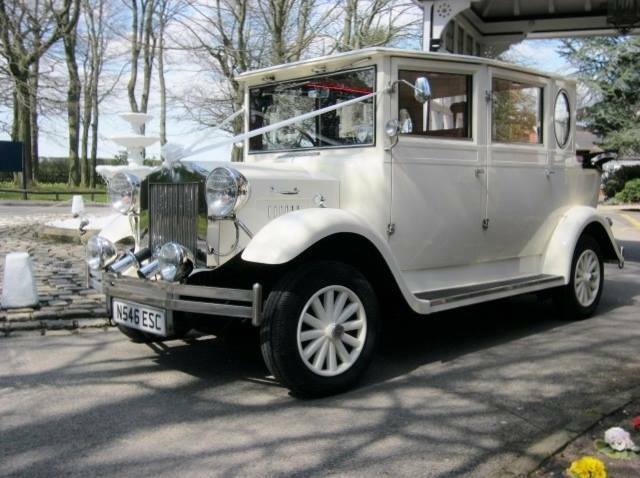 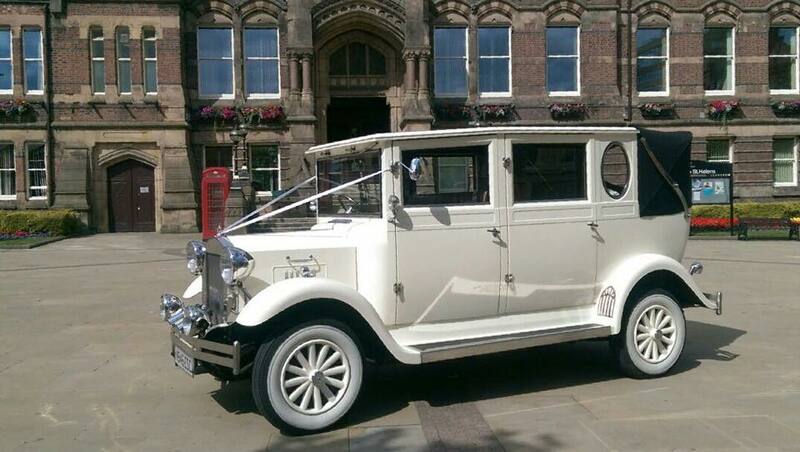 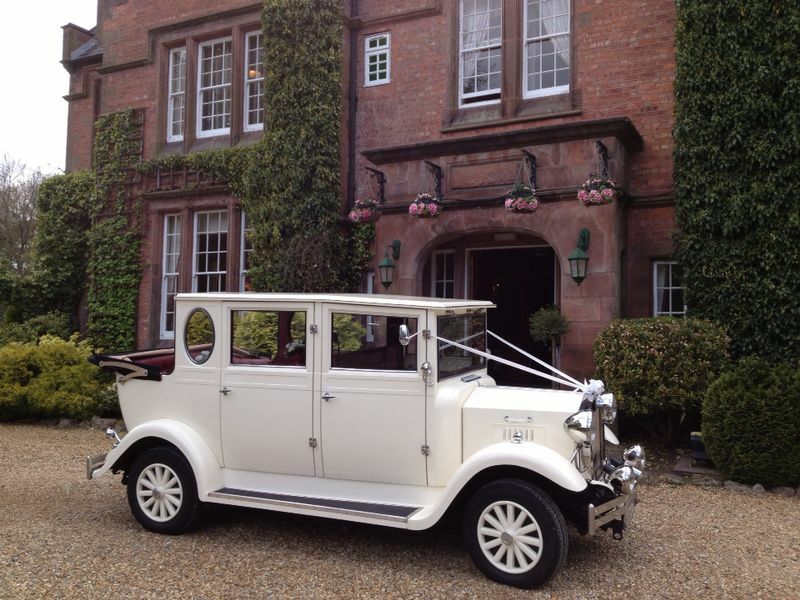 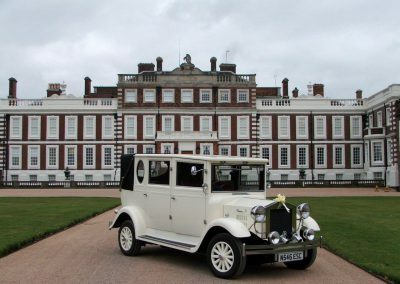 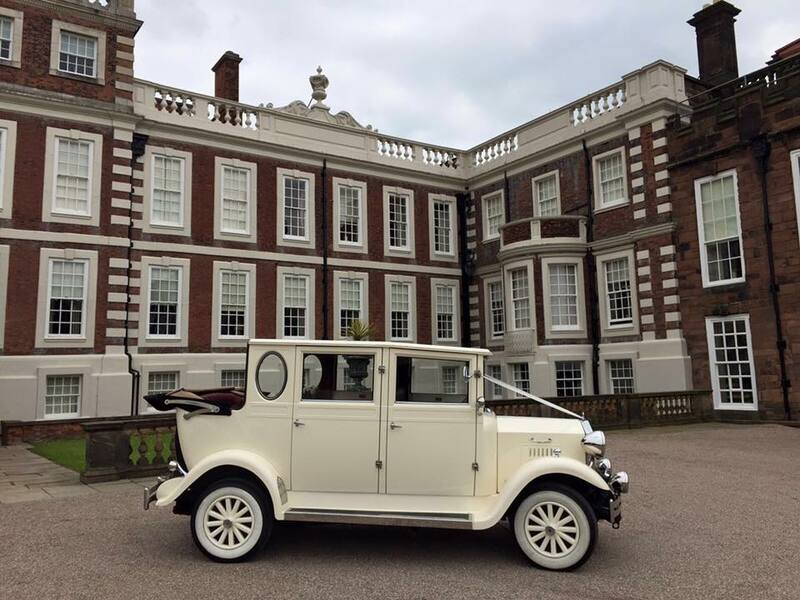 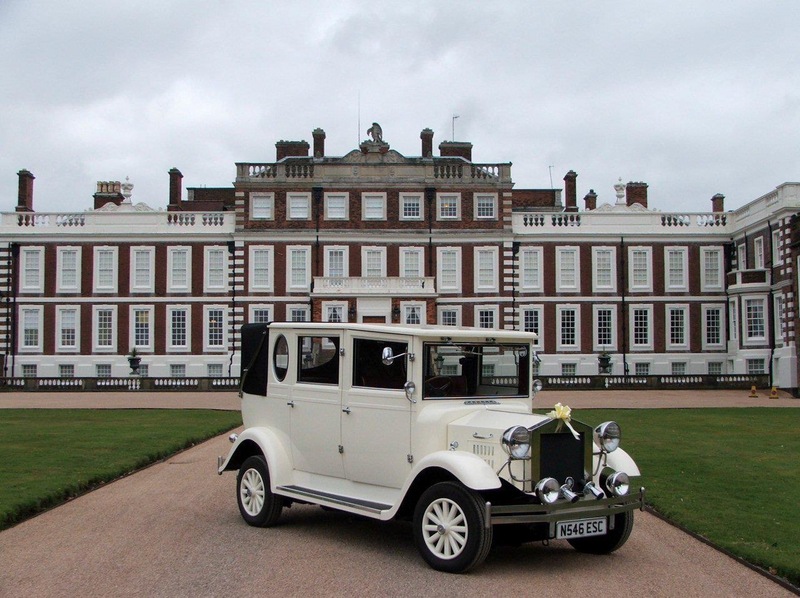 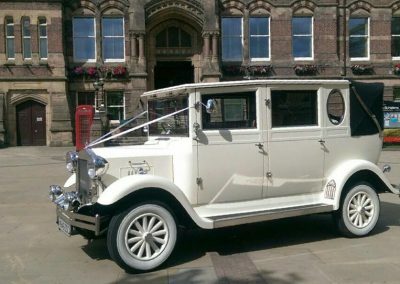 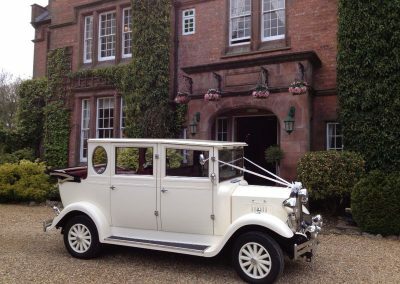 This beautiful 1930s style six/seven seater vintage wedding car is perfect for any wedding with its oldie worlde charm and elegance of bygone times. 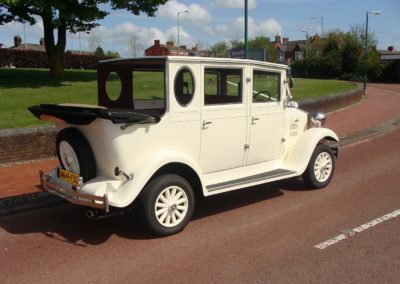 Finished in Old English White, with stylish burgundy leather interior and drop down read hood, this vehicle compliments any in our fleet. 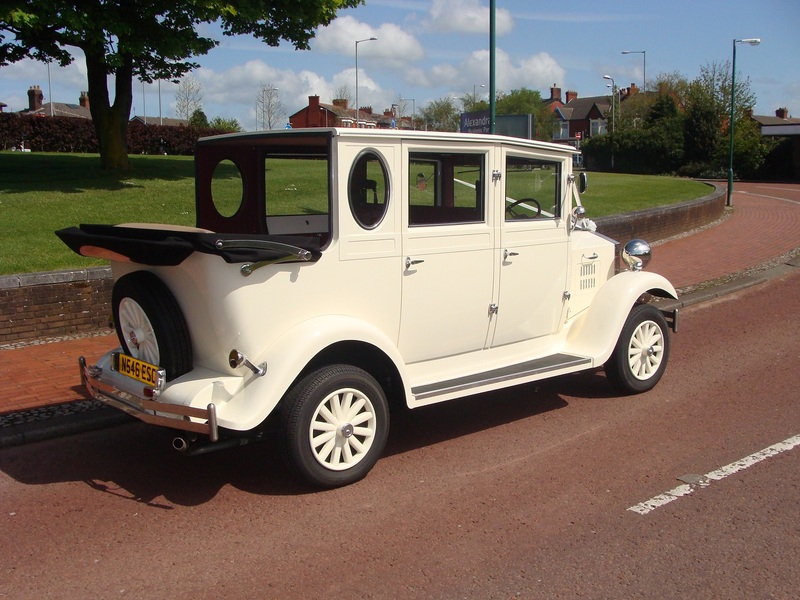 The Imperial is a spacious vintage style saloon car with generous leg room and easy access. In addition there are two folding seats behind the drivers cabin which when lowered allows the car to carry seven passengers in luxury and comfort, therefore making it ideal for transporting Bridesmaids or the Grooms party to the church or venue or of course equally suitable as a solo wedding car.